Yes, most units have a storage closet in the patio area. DIRECTIONS: Follow FL-7 S/US-441 S to W Sample Rd in Coral Springs. Take the Florida 834/Sample Road exit from FL-7 S/US-441 S. Turn left onto W Sample Rd (signs for Florida 834 E/Florida's Turnpike/Interstate 95) and then turn right onto Fishermans Dr. 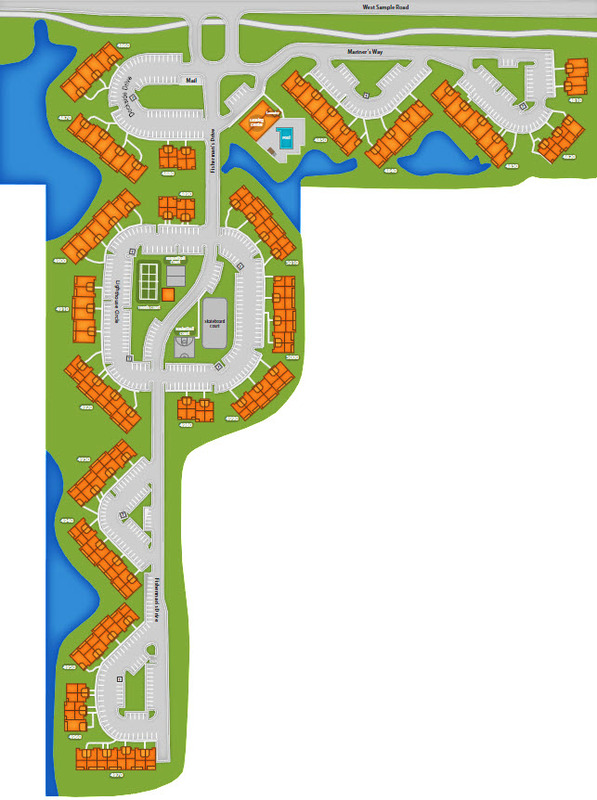 The Landings in Coconut Creek will be on the left. Lynn has over 20 years of experience in multifamily, and started with ZRS in April 2017. Charlie is a Florida native and has been in the multifamily industry for 10 years. Ileana has recently joined ZRS Management, but has been in the apartment industry for over 4 years. Come say hello to our newest team member. Joel has been with ZRS for 4 years and loves fishing. Fritz has over 5 years in the apartment industry. He always has a smile and ready to help. Daniel has been with Landings for 15 years and is new with ZRS since July 2017. Present a danger to people…. The Landings at Coconut Creek maintain a perfect location for apartment living in Coconut Creek, FL. Beautiful lake views, stunning interior amenities, and elegant surroundings define luxury living at our community. Our residents desire the kind of class and sophistication that can only be found at The Landings at Coconut Creek. We offer studio, one, and two bedroom floor plan options which complement any lifestyle. Our community features a variety of luxury amenities, including screened-in patios, built-in bookshelves, ceramic tile showers, and in-unit washers and dryers. Best of all, our pet-friendly community provides a great location near Margate, and grants residents easy access to the Florida Turnpike, the Sawgrass Expressway, and I-95. Through many exclusive features, including panoramic lake views, lighted tennis courts, a new fitness center, and a chic resident clubhouse, our community reflects an entirely new outlook on luxury living. The Landings at Coconut Creek are surrounded by lush tropical landscapes that are perfect for outdoor exercise and recreation for residents and their four-legged companions, as our team is proud to offer a pet-friendly apartment community. You deserve the best, so come home to The Landings at Coconut Creek Apartments today! If you would like more information about The Landings at Coconut Creek, please feel free to contact us today.